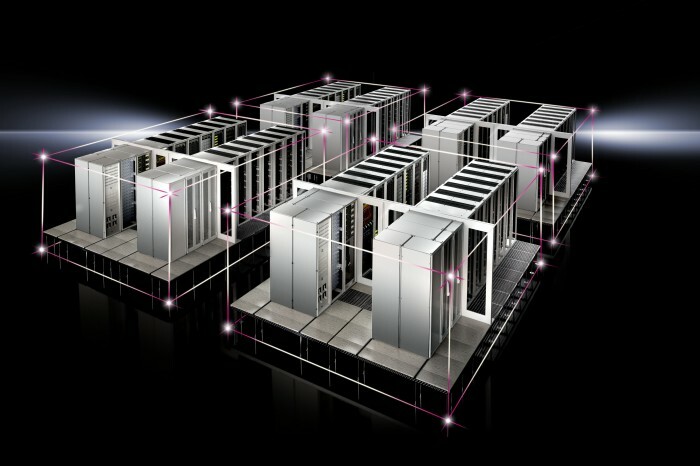 Rittal has introduced an optional efficiency package for the RiMatrix S standardised data centre. The PUE efficiency package for the RiMatrix S standardized data centre solution is now available at last. This means Rittal is offering its customers an optional package of hardware and software that gives IT administrators information on efficiency values in the data centre quickly and simply. These measuring devices are installed in the sub-distribution or in the enclosure suites. The presentation of the results and their preparation is performed in the Rittal RiZone data centre infrastructure management (DCIM) software. The energy consumed by servers and data centres in Germany amounted to 9.4 terawatt hours in 2012. This is the equivalent to the output of four medium-sized coal-fired power stations, a Borderstep Institute study has revealed. Now, Rittal is offering its customers an optional efficiency package to determine and display the energy consumption in a RiMatrix S via the PUE (power usage effectiveness) value. The package consists of intelligent socket systems (Power Distribution Units), instruments for measuring power consumption, and the RiZone DCIM software. With this optional package, administrators can easily optimise the efficiency and energy consumption in the RiMatrix S.
RiMatrix is a complete data centre portfolio comprised of standardised components: a defined number of TS IT server and network racks, climate control, power supply and backup systems, as well as monitoring systems. Together, they form a complete server module. By concentrating on standardised data centre modules and ideally coordinated components, the RiMatrix S achieves an extremely low PUE (power usage effectiveness) value of up to 1.15.